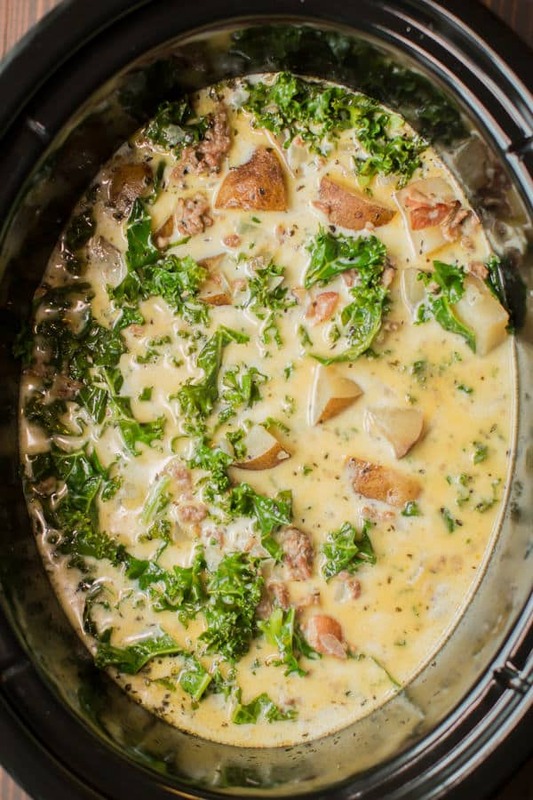 Zuppa Toscana is easily made in the slow cooker, made with potatoes, sausage and kale. 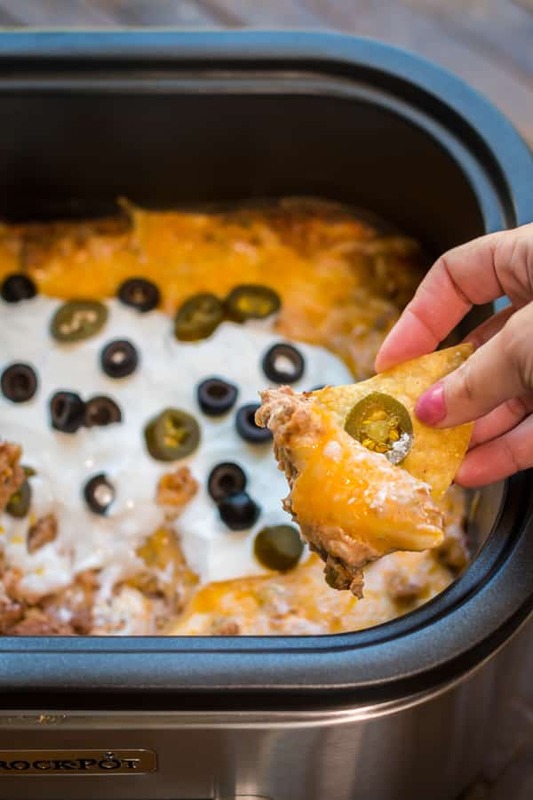 Great for a weeknight dinner. 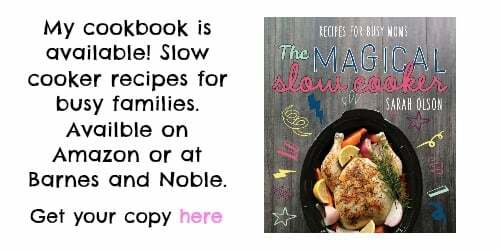 With many soups to try in the slow cooker, this is a very popular one to try! 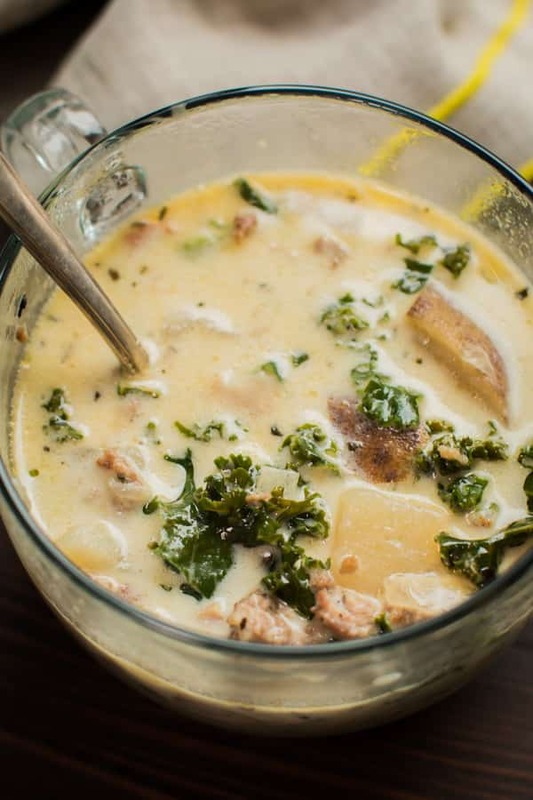 Zuppa Toscana is a classic recipe that you may have seen on the menu at Olive Garden. 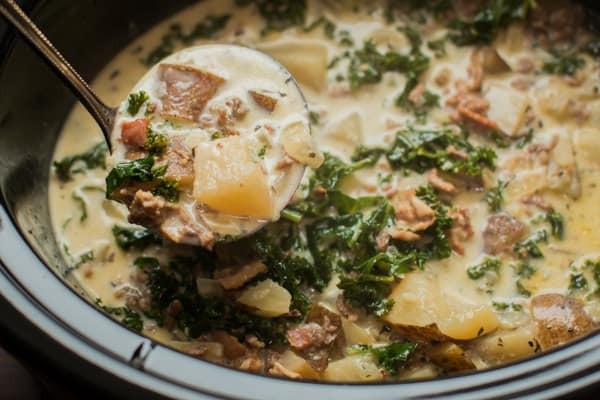 It is a potato and sausage soup that has cream and kale added at the end. It makes for a hearty dinner, just needs some crusty bread! I apologize for only having one recipe for you this week. I’ve put off inputting my taxes into QuickBooks for too long. Right after getting my tax work done, we received our load of girl scout cookies to sell, I thought Christmas time was busy! 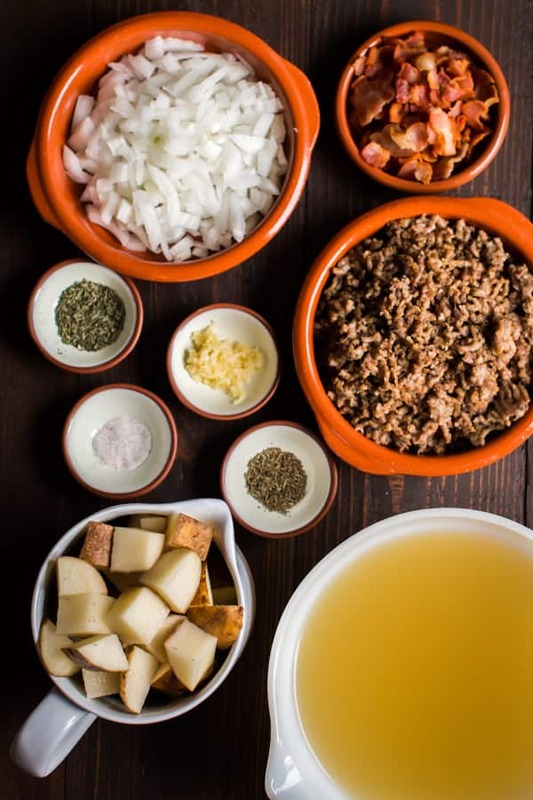 This soup takes a little bit of prep work, but nothing too time consuming. 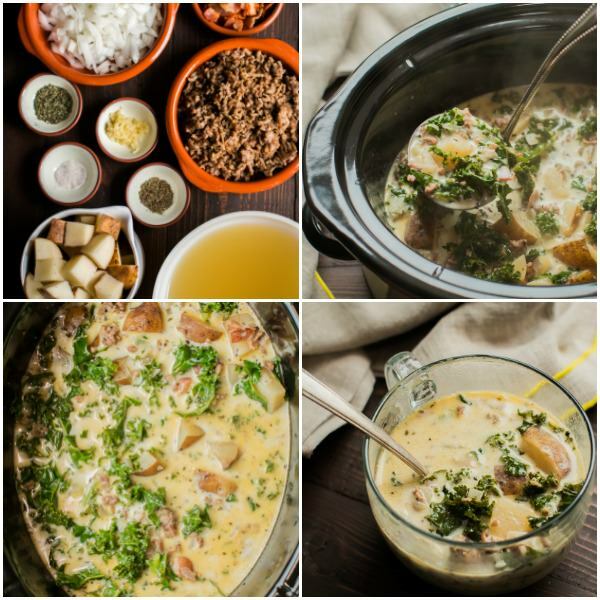 I don’t peel the potatoes for this recipe, I like the texture of the unpeeled potatoes in this soup. 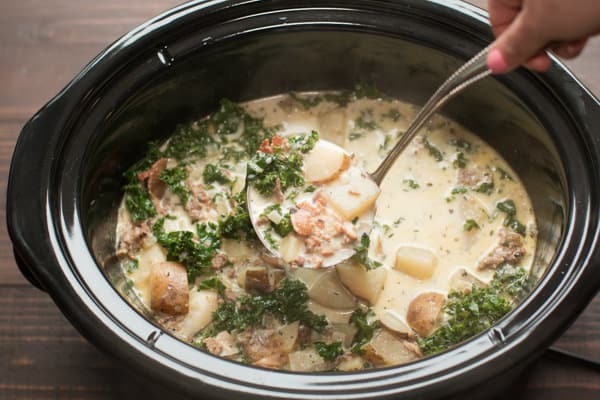 Be sure not to add the kale and heavy cream until the end of the cooking time. 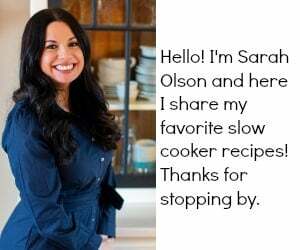 Have a great weekend I will be back next week with more recipes. 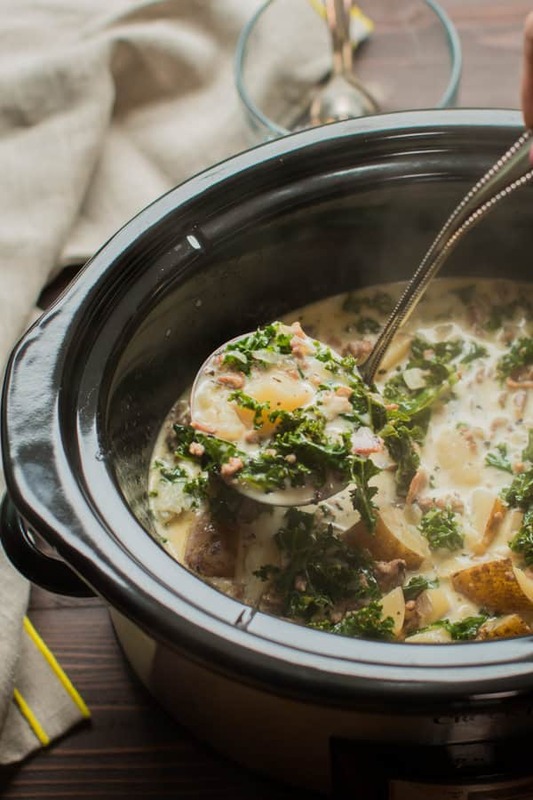 Add everything to the slow cooker EXCEPT the cream and kale. 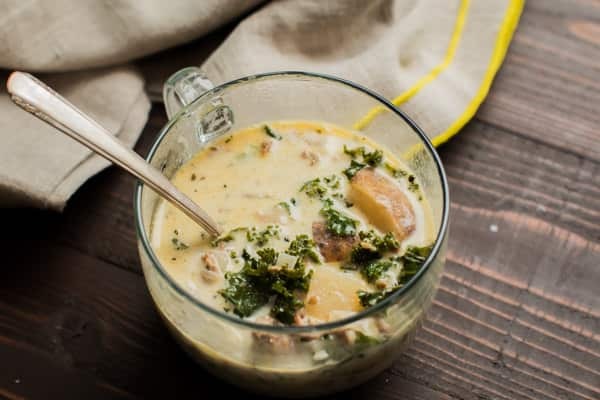 When the cooking time is done, add the heavy cream and kale, push the kale down in to the soup. Cover and cook for and additional 20 minutes. 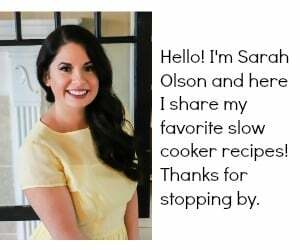 I used my 6-quart oval Crock-Pot® for this recipe though any slow cooker larger than a 4-quart will work fine. My husband love love loves this soup at Olive Garden and I have made a stove top version. 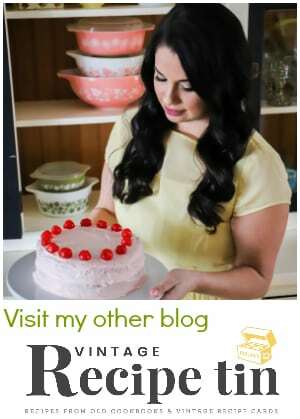 Yours sounds delicious and a lot more convenient and I can’t wait to try it. Has anyone swapped out the kale for something else, like spinach? Interested to hear how that is. Spinach doesn’t hold up as well as the kale. I was never big on kale but in soup it is so much better than spinach. I have never had this soup at Olive Garden, but you make it look so delicious and sounds so easy that I will have to give it a try soon. Thanks for the recipe! Great recipe; we made it today. Can it be frozen? I think the cream may weird after being froze. Has anyone else froze this after making? What brand and type of mild sausage.? Pork sausage. I use jimmy dean. I don’t recommend freezing anything with dairy or potatoes, doesn’t thaw out well. Can I put it on high and cook for half the time?